Electronics destroyed. Skin radiated. Mutations. Cancer. And if the GPS is down, how will anyone find their way home? But there is a bright side to solar flares. And that would be last night’s light show. For those of us in Canada, a bit of spark in the air adds to the atmosphere of the place. Here’s how the Aurora works. The sun has a lot of weird stuff going on. It occasionally erupts with solar flares that spit out coronal mass ejections. Some times those head directly towards the Earth. This week, according to the Space Weather Prediction Center, a G3 geomagnetic storm resulted when two flares from sunspot AR2158 flung their charged particles our way. A G3 is about midpoint on the mag-storm scale. A “Strong” blast, but not the worst we’ve ever seen. Lucky for us, the Earth’s magnetic field does a pretty fair job of trapping the energy. Our only real problem with such storms are burnt power grids and disrupted satellite radio and navigation equipment. 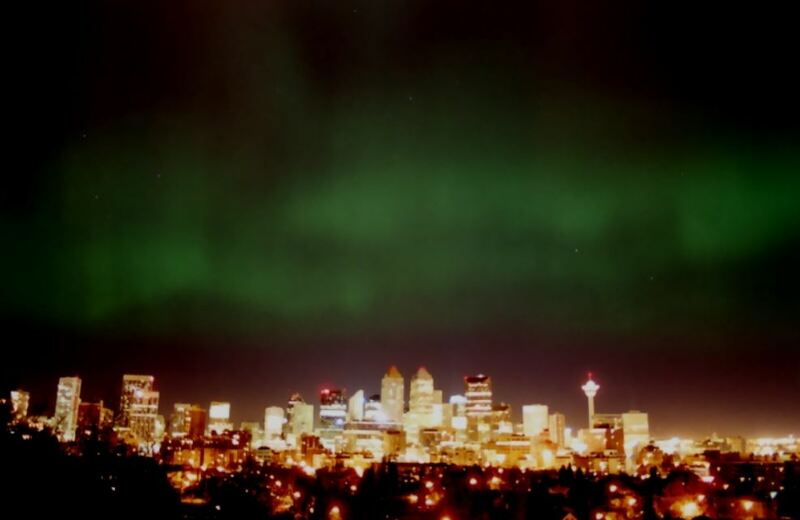 In 1989, a geomagnetic storm knocked out the Hydro-Québec electric grid. Millions were without power for half a day. On the lighter side, the aurora, or northern lights, were reportedly brilliant in parts of Canada and the northern states. I have seen the display spectacularly only a few times – once as a child, in Pennsylvania when the whole family stood in the orchard, marveling at “Whatever the hell that is,” as my father called it. Later, as a youngster in northern Saskatchewan, I was driving a truck at 2 in the morning, hauling some equipment across the province, when I realized the sky was on fire. Curtains of red and green and yellow and orange hung there, as if a draper were selling me his wares. The fabric slowly changed shapes, angles, and colours. I am sure I heard the fizzy snapping of the storm – sort of like a poorly connected fluorescent light tube. It was so fascinating that I powered down the truck, stretched out on the hood, and stared at the heavens for a full hour. The northern lights mean more than a dazzling light show. They mean you should hold on to your stock portfolio. As far back as astronomer William Herschel (1738-1822), the German-born English composer who discovered the planet Uranus, economics, sunspots, and the aurora have been inexplicably and incorrectly linked. Herschel said the price of wheat is correlated to the number of sunspots – the more spots, the higher the price. It may have been a brief correlation at the time, but there is no causative connection. And no justification for the lingering belief that sunspots (which can created northern lights) make people happy. Which make them buy more junk which improves markets which raises stock prices. People believe the most interesting things. Last night, here in Calgary, we poked our heads out the door every few minutes, hoping the clouds would clear. But alas, no luck. Calgary has lousy stargazing weather. This is a dry part of the world, nearly desert, and we are at 3,000 metres elevation. So, one would expect mostly clear skies. But almost invariably, clouds build each evening, obscuring our view of anything but the undersides of those growing clouds. In the late evening, there was a brief clearing, but not much aurora to report. When I awoke at 4 this morning (geophysicists start their day early), the sky was completely obscured. Time to sell my Celestron shares. 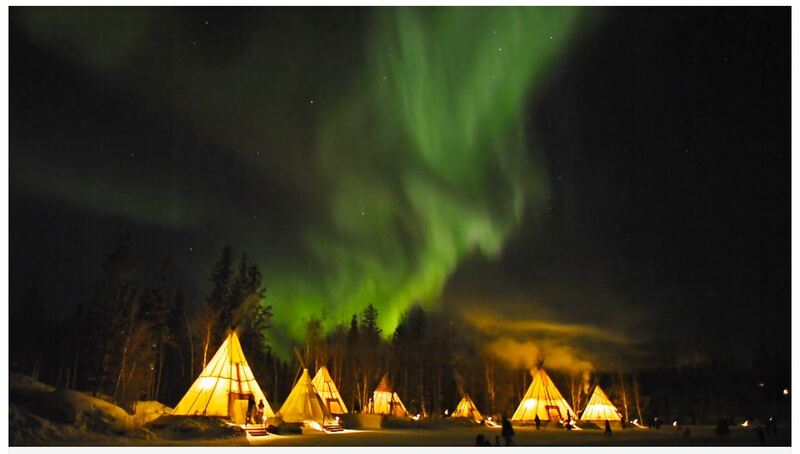 Northern lights in Yellowknife. Captured in real time in 2013. Go to the video: here. This entry was posted in History, Space and tagged Calgary, Canada, Herschel, history, magnetism, northern lights, solar flares, the Sun. Bookmark the permalink.